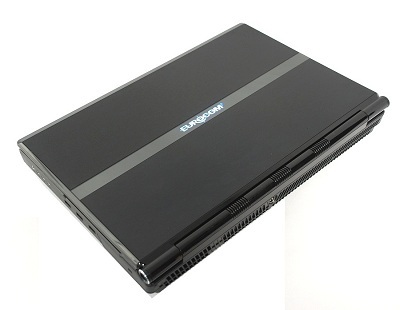 Eurocom Corporation (www.eurocom.com), a leading developer of long lifespan, fully upgradable notebooks, high performance mobile workstations and mobile servers is announcing support for Microsoft Server 2008 R2 in the EUROCOM Panther 3.0. Giving customers an all in one server solution that is easy to hand carry and deploy wherever needed. “Eurocom is excited to offer an all in one Mobile Server enterprise solution in a Notebook Form Factor able to run Microsoft Server 2008 R2. This product is the first of its kind in the market place and is already opening up additional business opportunities for our clients” said EUROCOM President, Mark Bialic. For the last three decades, server computing was done in server rooms, but this has left modern IT departments with multiple bottlenecks. Most of today’s servers draw too much power, consume too much space, and, worst of all, are chained to large, stationary racks. Inability to hurdle these obstacles is keeping many enterprises from evolving and developing the services that will keep them competitive tomorrow. Space. EUROCOM Panther 3.0 solutions allow considerable multi-server capability in spaces too small for even a single rack. Mobility. Organizations can strengthen existing accounts and expand into untapped areas by taking Mobile Server machines into environments that simply couldn’t be addressed with conventional server designs. Energy. Many enterprises have hit a brick wall with their site’s power consumption. The Mobile Server can consume up to 80% less energy than traditional servers and open up many new IT options. Affordable Safety. All businesses need disaster plans, but conventional recovery options can take days and/or require massive spending on redundant sites. The Mobile Server can keep backup servers standing by and ready to run from anywhere in an emergency. Ultimately, the EUROCOM Panther 3.0 Mobile Server creates new opportunities for the entire industry. When servers can go everywhere and run cutting edge applications with top performance, there are countless opportunities for new sales, a leap in customer service, and the ability to reshape enterprises so they can master tomorrow’s unpredictable demands. •	A racked system still requires a keyboard, mouse, and monitor, which are often placed on additional trays within the rack in order to minimize the total hardware footprint. With Mobile Server, these peripherals are integrated. •	Conventional servers require attendant UPS capability rated for at least 10 to 15 minutes of runtime before shutdown. With Mobile Server, the swappable polymer Li-Ion battery provides many times this amount. •	Whereas traditional servers typically require 800W to 1000W, Mobile Server systems will run a full load at under 250W. Also consider how much less ambient cooling will be needed as a result of such power drops. •	If a unit needs to be swapped out for any reason, simply grab and go. Most of the wiring required in rackmount scenarios vanishes with a Mobile Server. •	Obviously, taking a racked server to a customer’s site is problematic, and even tower-style servers are considerably more cumbersome. A Mobile Server solution simply slips into a notebook carrying case. Eurocom’s Panther 3.0 supports Windows 7, Windows Server 2003 R2 32/64-bit, Windows Server 2008 R2 x64, Solaris, VMware, Red Hat, and other Linux distributions. Mobile Server systems are every bit as adept at running virtualized environments as their rackmount counterparts. Windows Server 2008 R2 with SP1 delivers new functionality and improvements to the core Windows Server operating system to help organizations of all sizes increase control, availability, and flexibility for their changing business needs. New Web tools, virtualization technologies, scalability enhancements, and management Utilities help save time, reduce costs, and provide a solid foundation for your information technology (IT) Infrastructure. Windows Server 2008 R2 with SP1 has five core pillars which provide updates to existing Functionality and new features. Virtualization is a major part of today’s data centers. The operating efficiencies offered by virtualization allow organizations to dramatically reduce operational effort and power consumption while increasing IT ’s flexibility. Besides server virtualization, Windows Server 2008 R2 with SP1 supports the following server-based desktop virtualization scenarios with Remote Desktop Services: Virtual Desktop Infrastructure (VDI) and session virtualization (formerly known as terminal services). Windows Server 2008 R2 with SP1 includes many enhancements that make this release the most robust Windows Server Web application platform yet. It offers an updated Web server role, Internet Information Services (II S) 7.5, and greater support for .NET on Server Core. Windows Server 2008 R2 is capable of unprecedented workload size, dynamic scalability, and across-the-board availability and reliability. A host of new and updated features will be available, including leveraging sophisticated CPU architectures, increased operating system componentization, and improved performance and scalability for applications and services.